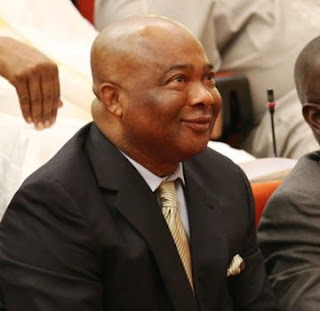 OWERRI, IMO STATE (THE NATION)--The Imo State chapter of the All Progressives Congress ( APC ), on Thursday, expelled its governorship candidate, Senator Hope Uzodinma over alleged anti-party activities. A statement jointly signed by the Chairman (Daniel Nwafor) and the Secretary, Hon Obioma Ireagwu, reads “this is to inform you that the All Progressives Congress (APC) Omuma Ward of Oru East Local Government Area in Imo State has expelled Senator Hope Uzodinma from the party due to certain inordinate and anti-party activities perpetrated by him and his cohorts. He continued that, “we will not allow one candidate to jeopardize the chances of our other candidates who are vying for various positions across the state. We have communicated the National Working Committee of our party on our decision and we have also instructed all APC members in the state not to have anything to do with Senator Hope Uzodinma and his ambition forthwith”.